The PSFS is a widely used clinical outcome measure. 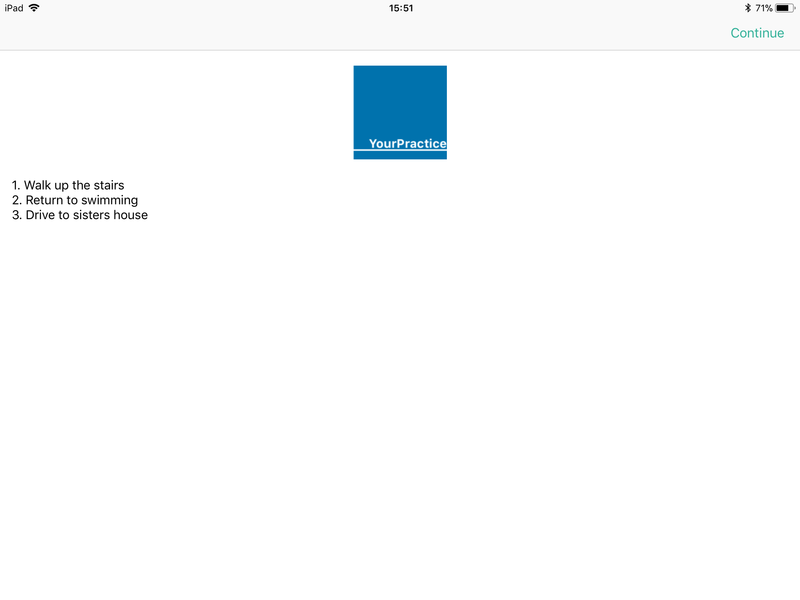 This document will show you how to use the PSFS on Physitrack to best effect. The PSFS allows patients to identify the goals most important to them, and rate their ability to achieve these goals using a 10 point scale. At present, Physitrack does not allow your patients to enter free text via PhysiApp. Goals must be established with the prescribing clinician and documented when the PROM is assigned. Search for and select the PSFS in the "Outcome measure" tab in your Physitrack library. Assign it to your patient via the editing basket, then assign button (both located in the top right corner). Finally, once you have selected your patient in the final assign box, enter the patient specific goals in the "Additional comments" box at the bottom of the window. Select "Assign" to send this on to your patient. 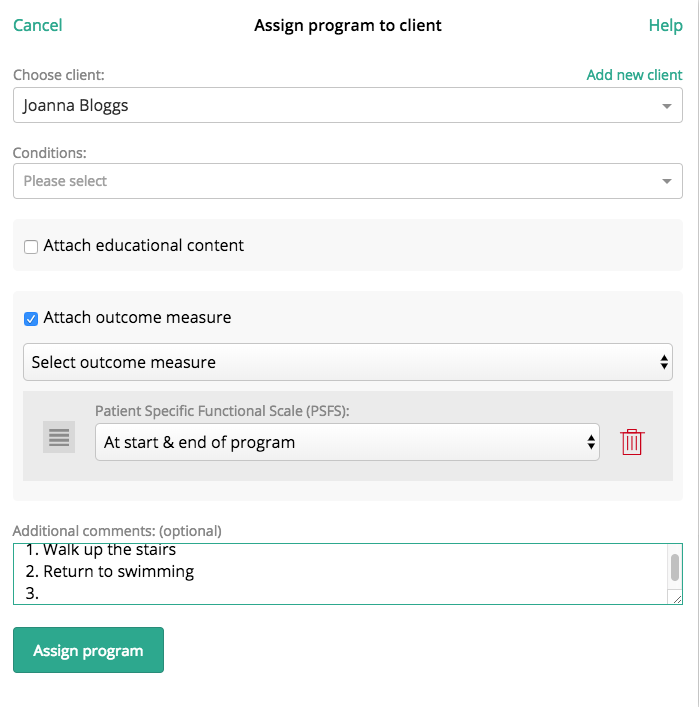 When logging on to PhysiApp to retrieve their questionnaire, your patient will be presented with these goals in the " Additional information" window.